This Hawaii National Parks and Hawaii State Parks list will help you decide which of these wonderful adventures will be right for your family travel experiences. Come see what the Aloha state has to offer! Ok, Ok, I know that Hawaii is not the easiest state to visit in an RV, but we can't leave such a magical state off the list simply because our RVs don't have fins now can we? You can always bring a tent or rent an RV on your trip to Hawaii. Hawaii national parks and Hawaii state parks are waiting for you! You can do all of the traditional vacation activities in Hawaii national parks, including camping, hiking, and picnicking in the sun. You can also do some unexpected things in Hawaii state parks, so get your adrenaline ready to pump and the children ready to squeal with delight. This isn't a trail that you can follow from start to finish because it stretches along the coast of Hawaii and is not yet one continuous trail. It was developed to preserve and showcase the natural Hawaiian culture and there are many historic and cultural displays to visit at each section of the trail. This is a great place to take the kids for a fun yet educational vacation experience. Have you ever hiked through sub-tropical rain forest? Have you ever walked on land formed by volcanic activity? These are the pleasures you will enjoy when visiting this national park in Hawaii. It is a preserve for natural Hawaiian wildlife as well, which means you may see some animals that literally cannot be seen anywhere else. You can reach this national park from Hana or Kahului. Some sections of the trail are off the road so may be more difficult to find. On your next family travel experiences head to Hawaii Volcanoes National Park. This of the Hawaii national parks is a great place to go if you want to get out and hike spectacular terrain that most other states cannot offer. The land in this park was created by volcanism and there are still active volcanoes in the park. This national park is located about 30 miles southwest from the town of Hilo on highway 11. If you are teaching your children about the history of Hawaii, you have to take them to Molokai island, which is where this historical park resides. This is the site where Hawaiian natives infected with leprosy were once isolated from the rest of the population. While journeying to the island imagine how the victims felt as they made the journey, sick and weak, many years before. If you like spending time on the beach and out in the water, head to the western coast of the mainland and find this park. You can hit the water in a boat, kick back to catch your own fish dinner, or take a refreshing swim after hiking through the forest. This is also a great place to camp to get off the road for awhile. Another great addition to your family travel experiences. If you are visiting Hawaii national parks with the intention of learning and educating your family about the Hawaiian culture and history, this is a must-stop along your journey. The park was declared a national preserve in the 1960s and great efforts have been taken to restore it to the way life was in the 1700s. You can find this park on the main island. Be prepared to spend the day walking around and learning about Hawaiian culture. For your family travel experiences this is one of the more exciting Hawaii state parks and national parks because it is rooted in bold stories of the Hawaiian past. Look up the stories of a powerful king and the sailor who became stranded and became an important figure to the natural population. There is a lot to learn from this park, which is located on the main island. This amazing and sentimental WWII national monument actually spans three states: Hawaii, Alaska, and California. In the Hawaii portion of the monument you can learn about several ships that were sunk during the war and look through real bungalows that were used by soldiers during the war. If you are teaching your children about United States history, make sure to hit up this memorial as you travel through Honolulu. This is one of the most educational Hawaii national parks you will come across. Do you know what a lava tree is? You can use this as a trivia question and allow your children to search the Internet for the answer. 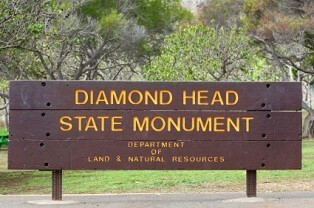 As you go along highway 132 stop by one of the most amazing Hawaii state parks and let them see the real thing. 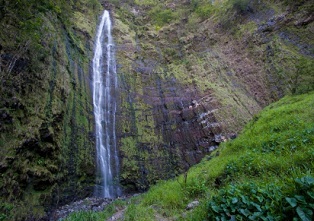 One thing you have to see when visiting Hawaii national parks and state parks is the waterfalls. The Akaka Falls state park is a great place to do just that. The walking path through this park is less than half a mile, but it will be one of the most spectacular half miles you ever take. It may take you longer than you think to get through it since the terrain can be difficult for some and the waterfalls will make you want to stop and watch for days. Find the park at the end of highway 220, also known as Akaka Falls Road. Head to Pe'epe'e Falls drive if you want to see the amazing boiling waters in pool connected underground or to Rainbow Drive if you want to see one of the most spectacular waterfalls in all of Hawaii. This is a beautiful park to spend an afternoon soaking up the beauty. This is one of the most popular beaches for family, since it has a shallow area where smaller children can play in more safety than they can on other beaches. It stretches on for just over two miles and can be accessed from highway 19, or Ka'ahumanu Highway. On your family travel experiences this is another state park perfect for educating the family about U.S. and world history. This fort was built during Russia's short lived reign in Hawaii. You can find it on highway 50, otherwise known as Kaumuali'I Highway. Head 15 miles north of Kekaha on highway 550 and you will find the perfect state park to hike through rainforests and look down at beautiful, lush terrain from high elevations. There is a welcome center with knowledgeable staff to help you determine the safest trails for your family. This is also a great place for hiking. At the end of highway 32 (Iao Valley Road) you will find a state park with a lot of spiritual and cultural relevance to the Hawaiian people. It features paved walkways for hiking but it may be a bit too difficult and slippery for smaller children to pass through. The path is less than a mile long. Head to the corner of Richards Street and South King Street downtown Honolulu if you want to see what a real royal palace in the U.S. was like many years ago. The palace at this park is a great educational landmark for your entire family. While you're in Honolulu on your family travel experiences, checking out the Hawaii state parks and the royal palaces, make time to see where royalty was once buried as well. You can find these burial places on Nu'uanu Avenue. This is one of the Hawaii national parks and state parks that are designated as recreational areas. This is a great place to camp, stretch your legs for a walk or jog along the shore, and dip your pole in the water to see what you can fish from the shore. It is located in Sand Island, Honolulu off highway 92. If boating is your thing, this might be one of your favorite Hawaii state parks. It is a basin serving commercial as well as recreational boats. It is now being operated by a commercial company located in California. You have explored many Hawaii national parks and state parks at this point and our guide is about over. Yet, we could never end our list of Hawaii national parks and state parks without mentioning this uniquely shaped park on the coast of Waikiki. It looks like a huge crate filled with lush trees or perhaps a large bowl from the air, but from the ground it will look like an excellent place to hike some trails and see the green vegetation of Hawaii.